A male passenger on a Frontier Airlines flight in Cancun managed to open the cabin door as the plane was taxiing on the runway and triggered the emergency slide to deploy, according to multiple reports. 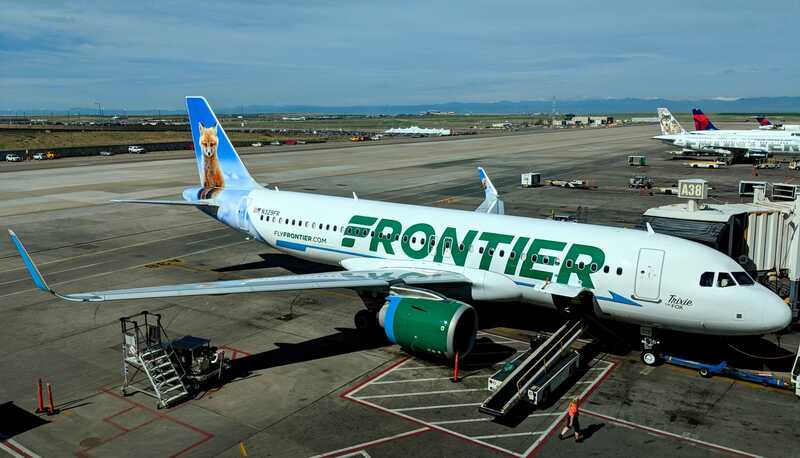 Frontier Airlines Flight 87 was scheduled to depart Cancun, Mexico for St. Louis, Missouri at 2:10 p.m. on Monday, October 22, when a passenger caused a disturbance. USA Today reports that after the passenger complained of feeling ill, Flight 87, which was about to take off, returned to the gate. WGNO ABC reports that while the flight was taxiing, the man became physically violent with flight attendants and managed to open a cabin door, which automatically deployed the emergency slide. The man’s mother, who was not on the flight, said she believes her son may have ingested a spiked drink and that he was on vacation with his father in Cancun. The incident happened on Monday, October 22. According to Flight Aware, Frontier Airlines Flight 87 was scheduled to depart Cancun, Mexico for St. Louis, Missouri at 2:10 p.m. when an agitated male passenger caused a disturbance. USA Today reports that after the passenger complained of feeling ill, Flight 87, which was about to takeoff, returned to the gate. While the flight was taxiing, USA Today reports the man became “physically violent with a flight attendant,” and tried to leave the plane. WGNO ABC reports that while the man became physically violent, he managed to open a cabin door, which automatically deployed the emergency slide. Frontier Airlines did not respond to Business Insider’s request for comment. USA Today reports Flight 87 was canceled because the emergency slide was deployed and that Frontier Airlines re-booked passengers to separate flights while also proving hotel accommodations. Fox 2 Now St. Louis spoke with passengers aboard the flight who painted a harrowing picture. Andy Karandzieff told Fox 2 that the agitated man tried to break out of the plane prior to it taking off, banging and kicking on the cockpit door before being calmed down by flight attendants and taking a seat next to Karandzieff and his wife. WGNO ABC reports that the man’s mother said he was on vacation in Cancun with his father and had been attacked the night before inside a Cancun hotel and struck on the head. The man’s mother also said she believes her son may have ingested a spiked drink. Fox News confirms the man’s mother was not on the flight. The man’s name has not been released to the public. A video was posted on social media that showed parts of the scuffle once the man deployed the emergency slide.